With this module the choices and parameters for calculations, calculation variants and output can be set. This module can be activated as independant PIAS module from PIAS' main menu, althoug hmost options are also available thourgh the Project setup function, at the left hand side in the upper (menu) bar of each other PIAS moodule, as depicted below. Project setup function in each PIAS module. General ship particulars, which are, after all, defined in the ship hull design or definition modules Fairway or Hulldef, as discussed in Define main dimensions and further ship parameters. Program setting which are specific for one single module. These settings are given at that particular module. At this option the desired output format can be selected, such as output language and file format, as well as some general settings which are applicable to the hydrostatic calculations, such as calculation methods, wave particulars and the density of sea water. Here the language can be specified as used for the output of calculations and the like. Choices are e.g. Dutch, English, German and Chinese, but only the first two are available in all PIAS modules. If a language is selected that is not available in a particular module or output, then by default English will be used. Incidentally, each user is able to expand the supported languages, see Output in different languages. If the output contains a row of question marks instead of plain text, then PIAS has encountered an unavailable translation. In the link stated just above the procedure to handle such anomalies is discussed. With thi soption set to ‘yes’ for this project the local cloud, a concept which is discussed at Local cloud: simultaneous multi-module operation on the same project, will be activated. However, for the time being this option is still experimental, so it is not yet released for general use. The module Loading always prints an item in the loading conditions which represents the total light ship weight. This total weight represents the combined weight of items from the 'common list'. The name of this light ship weight can be specified here. With fixed trim. At zero inclination the ship has its initial trim, depending on the difference between LCB and LCG. This trim is kept constant for all angles of inclination, and used during the computation of stability. This ‘fixed trim’ option is applicable to intact stability. With free-to-trim effect (=constant LCB). Also in this case the ship has its initial trim. When the vessel heels for each heeling angle the real trim is calculated so that the longitudinal center of gravity coincides with the longitudinal center of buoyancy. This is also known as then ‘constant LCB method’. It will be obvious that in general the trims will be larger with a vessel of a longitudinally asymmetric nature, such as a supply vessel at larger heeling angles. Stability calculation results do not neccessarily have to agree with results of computations based on tables of maximum allowable VCG', because there the effect of VCG' on trim is not included (which would be a bit difficult to do, because the actual VCG' of the loading condition was unknown on forehand, when composing the VCG' tables. Stability calculation results might differ from manual calculations as composed with the aid of cross curves, because it would not be possible to compose them for the actual VCG' of the loading condition, as well as for all other VCGs of all other loading conditions. In theory multiple cross curves for multiple trims could be composed, but nobody does and nobody requires so. Heeling around the weakest axis. With the previous three methods, heeling occurs around, more or less, the longitudinal axis of the vessel. With this method automatically the axis of qeakest stability is determined. Therefore, this method is the most realistic of the four. This setting is only implemented in PIAS in calculations where it is relevant and consistent, so e.g. for the calculations of intact and damage stability, but not for e.g. cross curves and maximum allowable grain moments. The background of this method is described in a separate document Stability around the weakest axis in PIAS; explanatory notes, which is available at SARC on request. The conventional way to take free surfaces into account is by correcting the vertical center of gravity by a virtual increase due to the free surface(s) at heeling angle zero. This virtual increase of the actual VCG is taken constant at all heeling angles. However, in reality the free surface effects change due to heel and trim. If this option is answered with ‘No’, the (damage-) stability is calculated in the traditional way with a VCG correction which is constant for all heeling angles. If this option is set to ‘Yes’, and if this option has been purchased, then for every compartment containing a liquid the actual center of gravity is calculated at the actual heeling angle and trim at the intact stability and damage stability calculations (with the Loading module). Tables of maximum allowable VCG' are no longer valid while the virtual center of gravity G' has become meaningless. Centers of gravity and free surface moments printed in loading conditions do NOT have to correspond with the input data. Due to heel and trim the centers of gravity may have shifted and the surface of the liquid may have a different shape than at zero heel and trim. All weight items in Loading that refer to liquid cargo should be read from the tank capacity tables. Weight items which do have a free surface moment but which are not read from a tank capacity table are not allowed. The frame model, which essentially consists of cross sections (ordinates), and which may be defined by Hulldef or generated by Fairway. The triangulated surface model, which is essentially a representation of the hull surface (including differentiating inside and outside), which can be produced by Fairway. In principle, a surface model can be more precise, particularly when determining the shape of small compartments. However, it has a major objection, and that is that, in order to be sufficiently precise, the number of triangles of the hull surface must be rather large, leading to correspondingly long computation time. Therefore, in practice, the surface model is not used for ordinary calculations. PIAS also has a third option, which is ‘calculate with frame model, plot surface model’, with which all calculations are based on the frames, while in the graphical presentation — e.g. as in the GUI of Loading — the full surface model of the hull is shown. That setting offers a nice compromise. All hydrostatics and stability calculations can also be executed for the ship in a (statical) wave. For this case the wave amplitude, the position of the top of the wave and the wave length should be specified, see the figure below. To do the calculations without a wave, a wave amplitude of zero will suffice. With damage stability calculations the wave does not extent in the damaged compartments. As a rule a wave as used for the calculation of longitudinal strength or stability is taken to be longitudinally. By exception, it can be required to take an oblique wave, in which case here the angle of the wave direction (in degrees, relative to the centerline) should be specified at this option. Besides, the wave effect in transverse direction is liniarized, which implies that the intersection of the ordinates with the wave surface is approximated by a straight line. Two types of waves can be chosen, sinusoidal or a trochoidal. The standard is sinusoidal. Enter here the density (the specific weight of the outside water (sea water, in ton/m3) to apply for all hydrostatic, stability etc. computations. As a rule, for sea water 1.025 is taken. The side of the heel. With this setting, the side of the worst stability is estimated with this method: if the statical angle of inclination (the heel) is to PS then the calculation is made to PS, otherwise to SB. With zero heel the calculation is (therefore) to SB. This estimation will often be correct — in the sense that that is indeed the side of worst stability — and sometimes not; e.g. when the heel is to SB, but openings on PS are submerged at a much smaller angle than on SB. If one does not want to rely on an estimation in determining the side of worst stability than the fourth option can be used. Portside and starboard. With this setting there will be no a priori assumption on the “worst side”, instead the stability will be calculated to PS as well as SB, while both sides are fully taken into account in the stability assessment. If stability criteria have been defined (and selected, see Manipulating and selecting sets of stability criteria) then also a maximum allowable VCG' can be determined, which will be the minimum of all stability criteria and both sides. The third option is the default, but that does not mean that the user should not rethink the applicable choice for the vessel under consideration. In any case, one must realize that the more asymmetrical the ship is (in terms of hull shape, openings or compartments) the less accurate the first three options can be. Obviously, the fourth option will require more computations, and hence more calulation time. Please take in this respect also take note of the opening remark of Types of basic criteria. This option is similar to the previous, albeit applicable for damage stability instead of intact stability. For the implementation of octothreading, in December 2016 some core volumetric integration procedures of PIAS have been redesigned. In that process the accuracy of one particular algorithm was increased a bit. That algorithm existed for more than 25 years, but the steadily increased computer power allowed a refinement to be incorporated now. Due to this modification, hydrostatics and stability-related results of PIAS might differ from earlier versions. If this box in the popup window is ticked on, the pre-December 2016 algorithm will remain to be used for this project. ASCII. With this option only alphanumerical output (tables and text) ar esend to file, graphics, layout and formatting are lost. Rich Text Format. Contains the complete output, including all formatting and graphs, in RTF, which can be imported into a word processor such as MS-Word or OpenOffice. XLSX, which contains the complete PIAS output, including graphs Microsoft Excel format. The formatting, such as font settings and underlinings, remain preserved as much as possible, but the Excel file will not be exactly the same as the PIAS output on paper or in MS-Word. The redistribution of the output over cells in Excel has, after all, its own effect on the page layout. Drawing Exchange Format (DXF). Drawings and graphs are stored in a file according to the Autodesk DXF specification, which can be imported into e.g. AutoCAD or Rhino. Postscript, which will save drawings in vector format. This has the advantage of being resolution-independent, which results in much more sharpness in large or highly zoomed drawings. With this option the angles of inclination which will be used at the intact and damage stability calculations can be defined. The maximum number of angles is 40. The angles may be greater than 90°, however, not greater than 180°. Angles between 85° and 95° are not allowed. For some calculations it can be set that PIAS should use a default setting for angles of inclination, see e.g. Compute probabilistic damage stability on basis of. Tables with everywhere the maximum free surface moment. By default, the free surface moments as printed in the tank tables are for the actual filling level of the tank. If this option is set to ‘yes’, then first the maximum free surface moments will be computed for the present tank, after which for each height (inbetween completely filled and completely empty) instead of the actual moments these maximums will be inserted. After toggling this setting, the tank tables in Layout should be recalculated before this setting exerts its effect. Moreover, any previously calculated table should be discarded first. Tank sketches with automatic tank numbers. If this option is set to ‘yes’ then each compartment will be numbered automatically for identification with tank sketches (zie daarvoor Sketches of tanks, compartments and damage cases). On `no', the first four letters of the second name of the compartment will be used for identification. This option also determines the choice of the names of the generated damage cases at probabilistic damage stability. Difference internal/external geometry including external hullforms. This setting is applicable to the comparison of internal and external geometry, such as has been discussed in Difference between internal and external geometry. If set to `no' this comparison does not include added hull forms (as discussed in Hullforms. If set to `yes' it does take such hull forms into account. Furthermore, some settings may be available which belong to the elder (pre 2012) PIAS compartments module. The setting on the ‘default tank percentage at reading’ is relocated to the intact stability module, Loading. For further details of these settings we refer to chapter 130 of the old PIAS manual. Compartments with an unequal water level. Every compartment has half of its weight in the final stage (the 100% stage of flooding). In this case all tanks are treated separately, the water levels of tanks and and 2 differ, and there are two free surface moments. This is depicted in situations 1 and 3 of the figure ‘Tank fillings’. All compartments with an equal water level. All damaged compartments combined are half the weight of the total weight in the final stage of flooding. So all compartments are treated as one with one single water level and a single free surface moment, as depicted in situations 2 and 4 of the figure. The appropriate choice of the method of calculation depends on the configuration of the compartments which are damaged. If these compartments are separated by vertical bulkheads as in situations 1 and 2 then the first choice would be the most realistic. If, on the other hand, the compartments are separaated by horizontal bulkheads as in situations 3 and 4 then the second choice would be the most appropriate. For RoRo ferries with water on deck (a.k.a. as the ‘Stockholm agreement’ or ‘STAB90+50’) the wave height to be used can be given here. Please also refer to Water on deck. Works with the stability criterion ‘Distance to special points’ (see Types of basic criteria). If a particular damage case does not meet this criterion — because the distance from the waterline to such an opening is less than the minimum required — then the conclusion is drawn “It is yet undetermined whether this damage case complies with the criteria”, and an additional damage case is created where the compartment connected to this opening will also be flooded. From these additional damage cases also the intermediate stages of flooding are computed, starting with a filling percentage of 1% for the newly added compartments. This reflects the fact that these are just about to be flooded, but also tests whether the original damage case meets the other stability criteria. Since the flooding through such an opening may take a long time, it is not certain that in all cases assessment against the stability criteria for intermediate stages is allowed. Therefore, in this case the criteria for the final stage of flooding are applied. This mechanism repeats itself, so, if such a newly generated damage case also does not comply because an other opening has a too small distance to the waterline, then a further additional damage case will be created, etc. etc. Until it is demonstrated that it will comply in this case of progressive flooding (in which case the original damage case complies), or until the ship no longer satisfies another stability criterion (in which case the damage case does not comply). This facility — which has been discussed and agreed with Lloyd's Register of Shipping in April 2016 — is aimed at inland waterway tankers which must meet the ADN criteria. But anyone with access to this facility is, obviously, free to switch it on in this menu for any application. User-defined angles. With this choice the angles of inclination as specified at Angles of inclination for stability calculations will be used. The advantage of this setting is that this is the same calculation basis as employed at the Loading module, where the GZ curve is also computed on the specified engles. So this choice results in the same results for both computations. Default angles. With this setting the angles are chosen automatically, guided by the applicable stability criteria. The advantage of this setting is that the user is relieved from choosing the angles, the range for example will always be sufficient to match the stability criteria. The disadvantage may be that these angles may be different from the ones as employed in Loading. This is, by the way, exactly the same setting as calculate maximum VCG on basis of as discussed in Maximum VCG' intact tables. According to the US DDS-079 damage stability criteria, in the computation of damage stability the transverse center of gravity should be corrected with 0.05 feet x cos(φ). That can be specified here. Code for the construction and equipment of ships carrying dangerous chemicals in bulk (1980 edition), guideline for the uniform interpretation, reg. 3.2: “The GM, GZ and KG for judging the final survival conditions should be calculated by the constant displacement method”. MSC.1/Circ.1461, Guidelines for verification of damage stability requirements for tankers (applicable to IGC and IBC 2016), reg. 3.3.3, as well as IACS 110 Guideline for Scope of Damage Stability Verification on new oil tankers, chemical tankers and gas carriers (2010), reg. 3.3: “When determining the righting lever (GZ) of the residual stability curve, the constant displacement method of calculation should be used”. SOLAS 2009 probabilistic damage stability (part B.1), reg. 3 “When determining the positive righting lever (GZ) of the residual stability curve, the displacement used should be that of the intact condition. That is, the constant displacement method of calculation should be used”. Before PIAS was extended with this setting Righting levers denominator (in July 2018) this was the standard choice for the denominator. Intact displacement minus liquid cargo loss. This alternative is offered by MSC.1/Circ.1461, guidelines for verification of damage stability requirements for tankers (applicable to IGC and IBC 2016), reg. 9.3.4, as well as IACS 110 Guideline for Scope of Damage Stability Verification on new oil tankers, chemical tankers and gas carriers (2010), reg. 9.3: “Noting that calculation of stability in the final damage condition assumes both the liquid cargo and the buoyancy of the damaged spaces to be lost, it is therefore considered both reasonable and consistent to base the residual GZ curve at each intermediate stage on the intact displacement minus total liquid cargo loss at each stage”. Now and then, this choice of denominator is confused with the methods of lost buoyancy vs.nbsp;added weight. However, these are distinct concepts: lost buoyancy vs. added weight refers to the iteration method used to find equilibrium between weights and buoyancy. In the pre-computer era this issue carried some relevance because it determined the computational efficiency, but with abundant computer power it has become irrelevant. After all, both methods lead to the same observable parameters (draft and trim) which is quite obvious because otherwise one of the two would be outright false, and could easily be identified as such on the basis of a physical (model) test. Constant displacement vs. Intact displacement minus liquid cargo loss is not a method, it is just a single number to be divided by, which only exerts its influence on the GZ (and hence derived parameters). While GZ is not a primary physical quantity, it is a derived parameter, valid only within a particular reference framework. Apparently there are at present two of such frameworks around, which may lead to different GZ's, without a physically-based referee to judge on their correctness. So guidance for the denominator to use can only be found in the rule of man-made law (and in logic, as well as the argument of consistency). 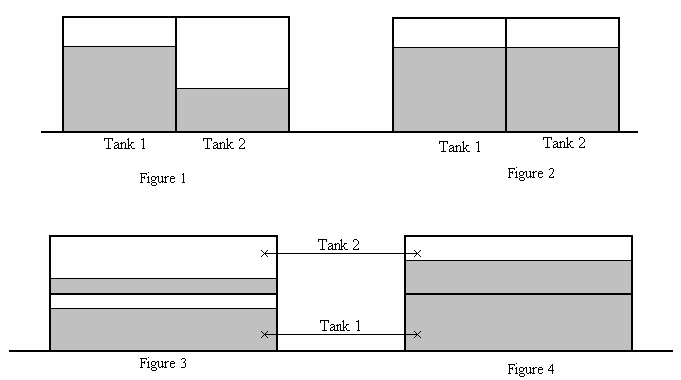 Here the sections and other properties of sketches of compartments and damage cases can be given, details are discussed in Sketches of tanks, compartments and damage cases. The stability criteria definition system has so many options and possibilities that a dedicated chapter is included, please refer to Stability criteria for intact stability and damage stability. After each print task (and damage stability calculation task). After print or calculation of a damage stability module. Senders address, recipients address and mail server. As a rule, these will always be the same for a particular computer and user, in which case it is appropriate to set those by means of external variables (see External variables where this mechanism is explained). In other cases, settings in this menu overrule the external variables, and are stored and used per project. So, either nothing is filled in (a blank line), and then the external variable setting will be used, or something is filled in, and then used. By the way, both the computer and the sender must have the right to approach the mail server with e-mail commands according to the SMTP protocol. Furthermore sending email messages according the SMTP protocol can be blocked by anti-virus software. Minimum time required to send e-mail. In general, it will not be desirable to receive mails from each short print command. Therefore, it can be set here how long a print job or calculation task must take, for an e-mail to actually be sent. If this time is for instance set at ten minutes, than you will only receive a mail from really time-consuming tasks. If set to zero an email will always be sent.